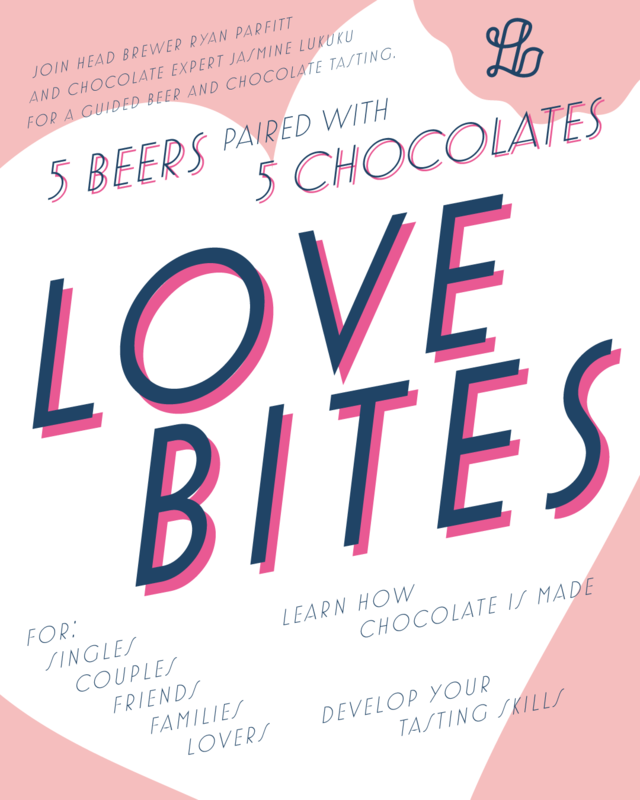 Join us for an evening of beer and chocolate at Luppolo Brewing Company! This is an inclusive Valentine’s Day event and all are welcome – friends, family, singles, and couples! Ticket price includes 5 beer and chocolate pairings, including one handmade truffle inspired by a Luppolo beer! Additionally, Head Brewer, Ryan Parfitt, and chocolate expert, Jasmine Lukuku, will be providing information on how chocoalte is made, types of choclate, how to taste chocolate and beer, and discuss the pairings. There will be two seatings for this event from 7 – 8:30pm and from 9 – 10:30pm. You can select which time slot you prefer when purchasing tickets.